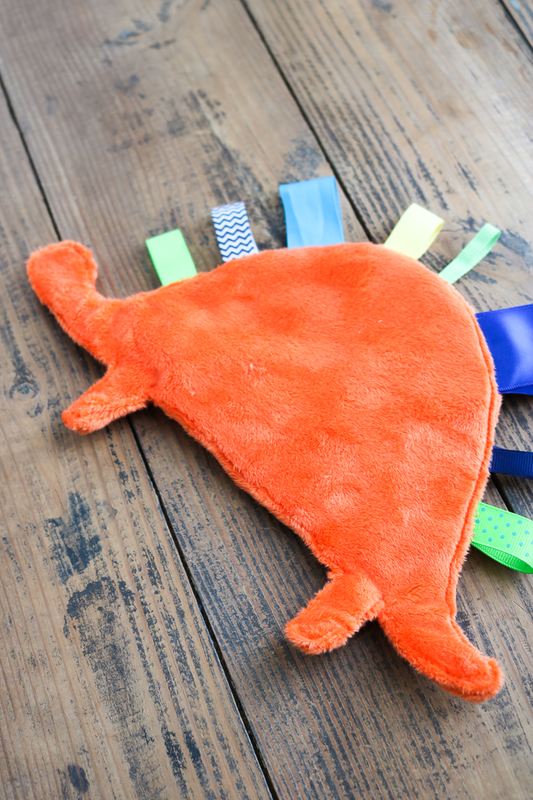 Make this baby tag blanket to celebrate Dinosaur Day on June 1st! 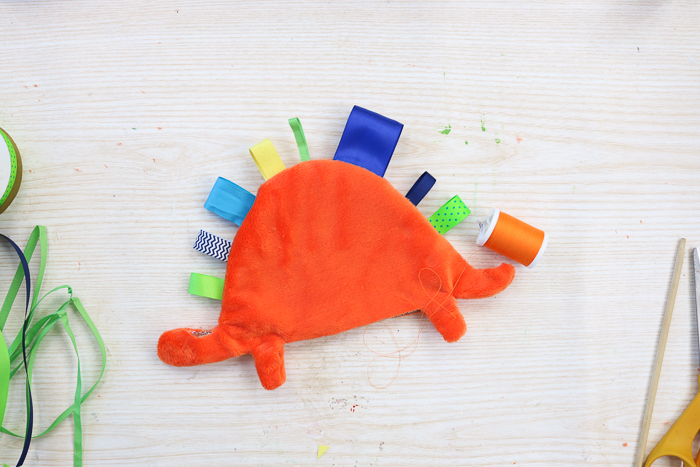 It is easy to make and that dinosaur shape is something that all kids will love. We are celebrating obscure holidays all week with Craft Lightning. You can catch up with the crafts from day 1 and day 2. 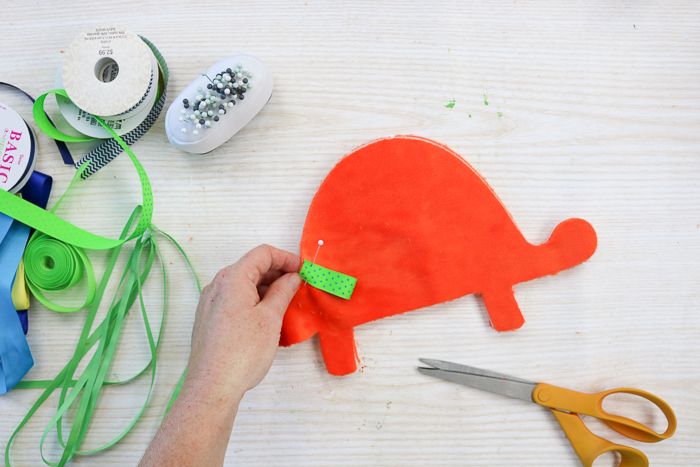 You will also want to scroll to the bottom of this post to see today’s craft ideas from our bloggers for this series. I thought this one would be good for a video tutorial. So you can see just how to make this baby tag blanket in the video below. Can’t watch the video or missed some of the steps. Try the instructions below! 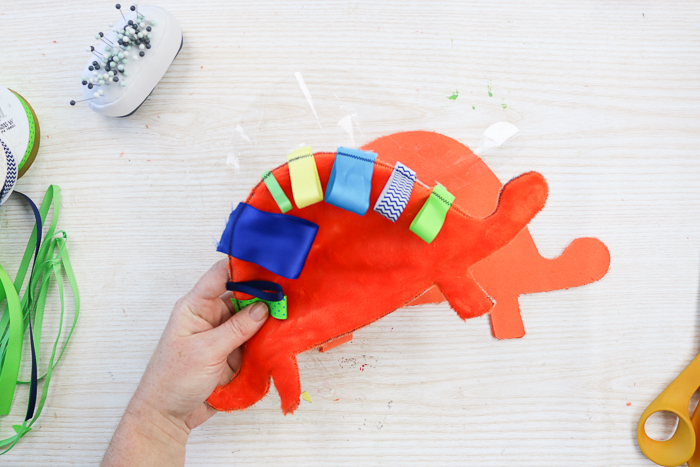 Start by cutting all of your dinosaur pieces with your Cricut Maker. You can use the cut file I created by clicking here. Don’t have a Cricut Maker? 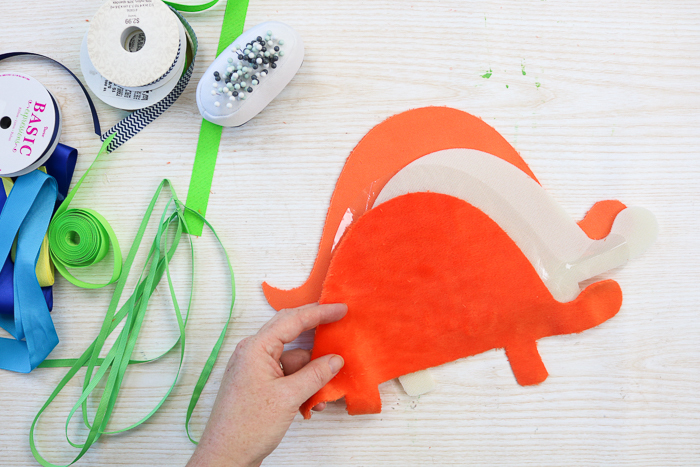 Freehand a dinosaur shape and cut with scissors. You will need 2 pieces from the minky fabric that are mirror images of one another. 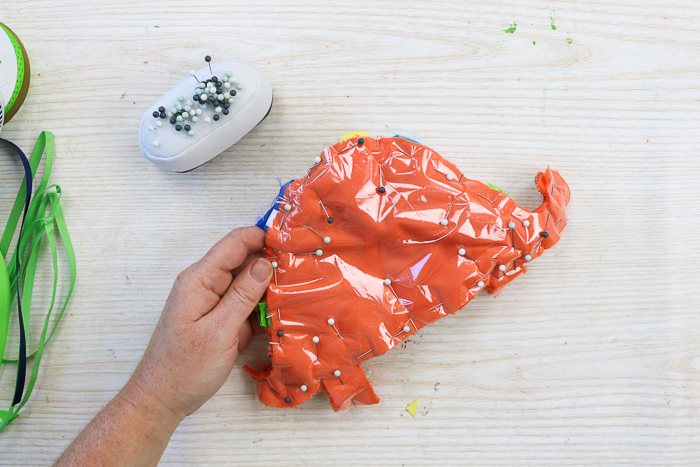 Then one additional from the foam stabilizer and the crinkle fabric. 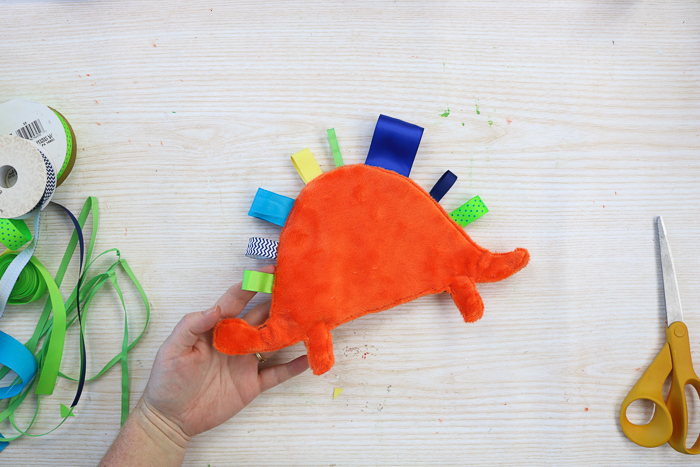 Then cut bits of ribbon and pin them around the dinosaur’s back. 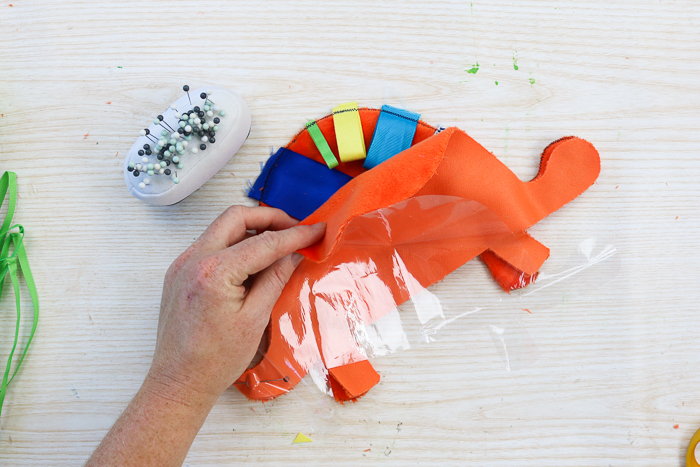 This is a great project for leftover and scrap ribbon pieces. Sew one piece of the minky and the foam stabilizer together with the ribbons around the back. Use a zig zag stitch close to the edge. Then put the minky good sides together and the crinkle fabric on top of that. Pin together really well as this will be slick when sewing. Sew all the way around leaving an opening at the bottom. Turn right side out. Finally, sew all the way around the piece with coordinating thread. By sewing over the ribbon pieces three times you are really securing them into place and ensuring they are safe for baby. Be sure to check each ribbon and make sure it is secure before gifting. When you sew this final time, turn the opening in and close it up as well. 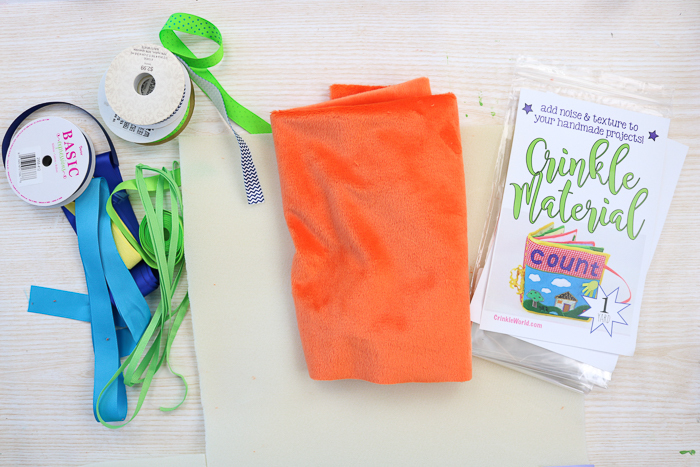 Now your baby tag blanket is ready to give to any baby in your life! I bet you can think of other shapes that will work with this same technique as well. 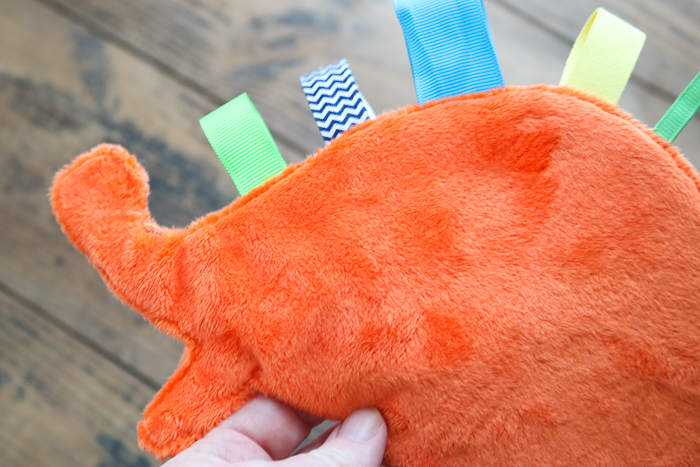 Make a baby tag blanket for any baby on your gift giving list! 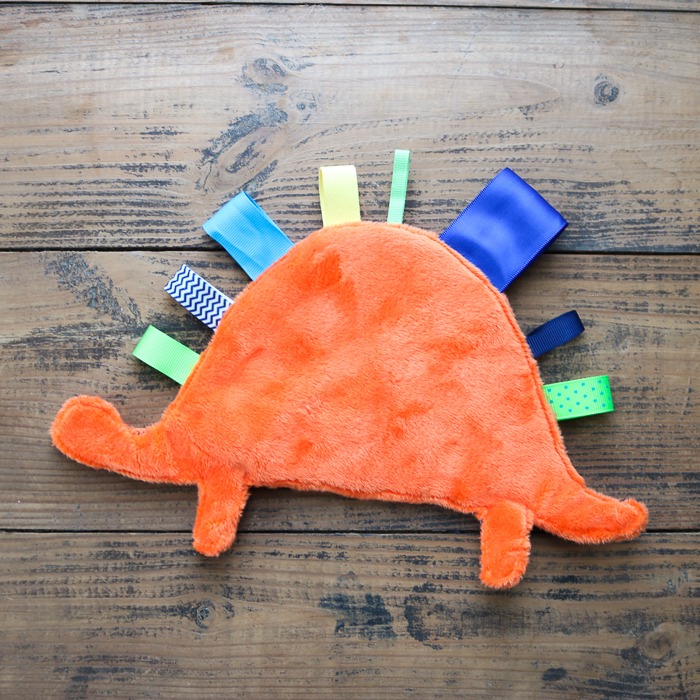 You might also like this monster felt board! Love this baby tag blanket and want more ideas? Try the links below from our partners for this series! 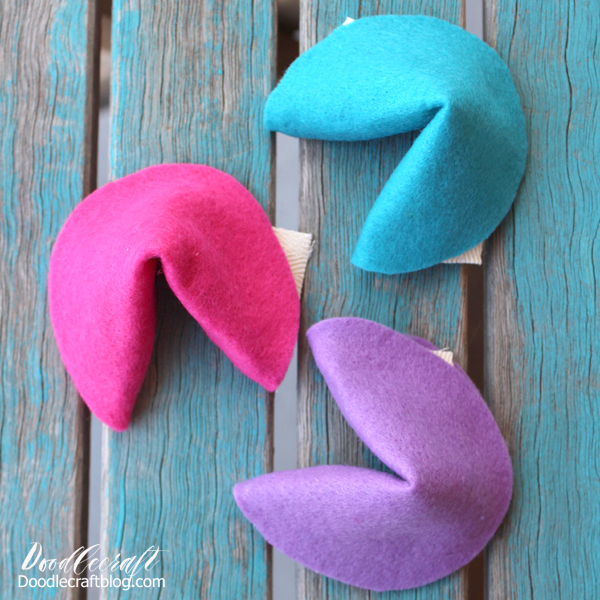 Chinese New Year will be so much more fun with a batch of these felt fortune cookies from Doodle Craft. What can be better than celebrating National Margarita Day? 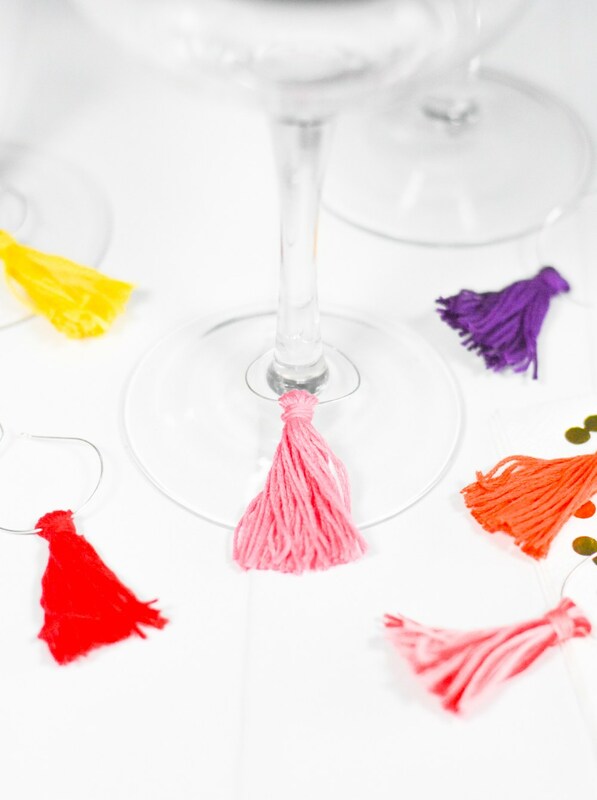 Make these DIY tassel charms from Pineapple Paper Company to party in style! Umbrella Day is fast approaching! 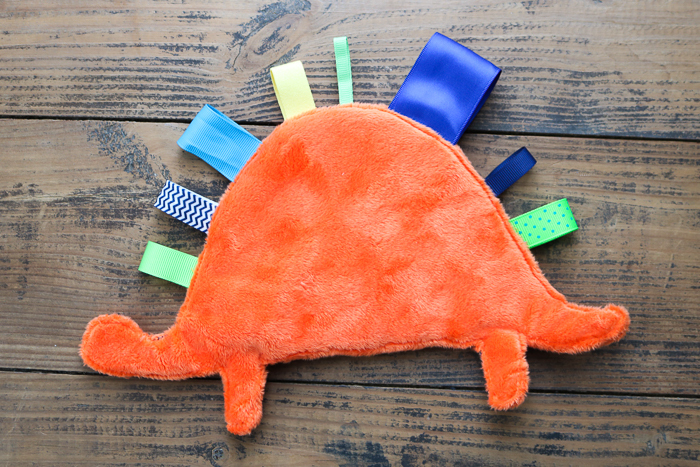 Did you know that you can customize your own umbrella? 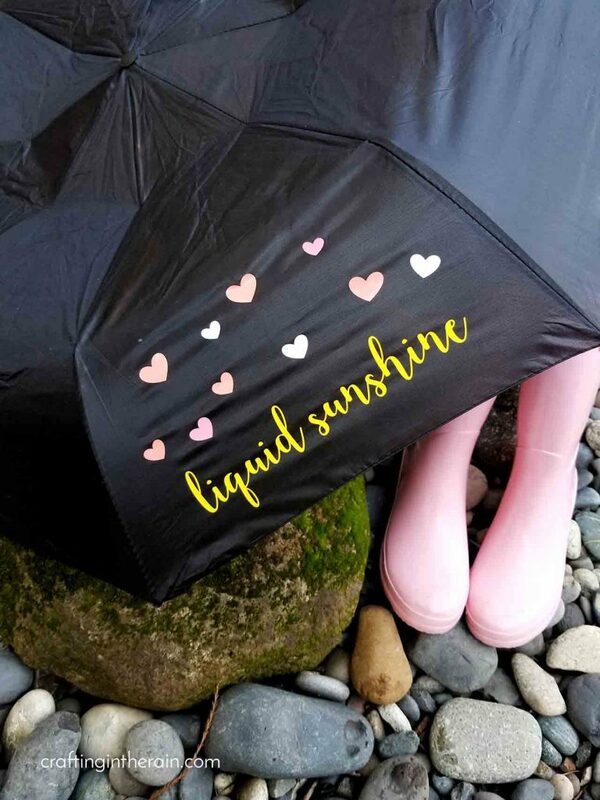 Let Crafting in the Rain show you what vinyl is best for adding to an umbrella. Narwhals are cute and super hot! 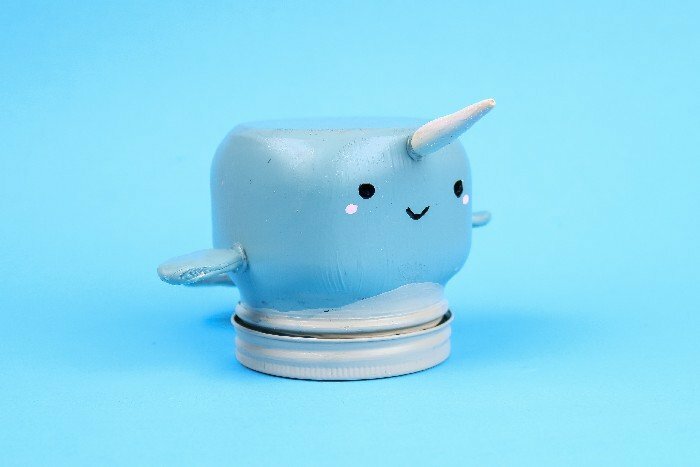 See how to make this painted narwhal jar from Mad in Crafts and celebrate Narwhal Appreciation Day. 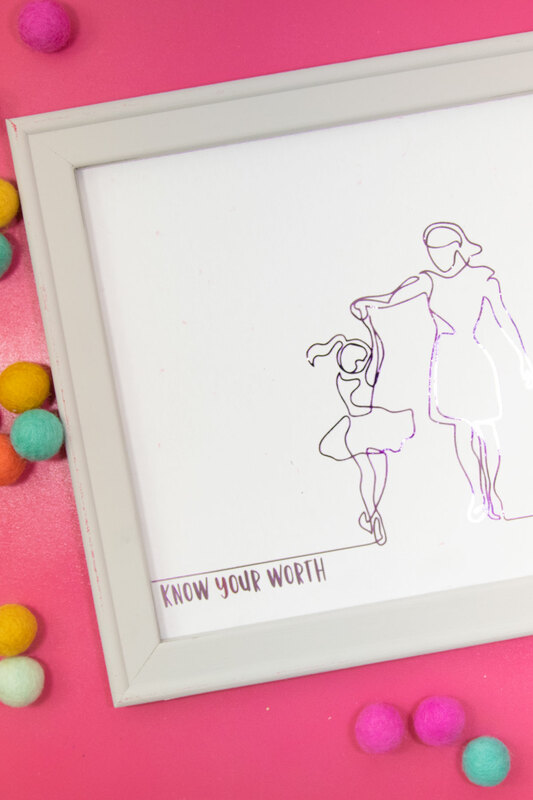 Our guest co-hostess for this round is See Lindsay and she has a great reverse canvas project to celebrate International Women’s Day. 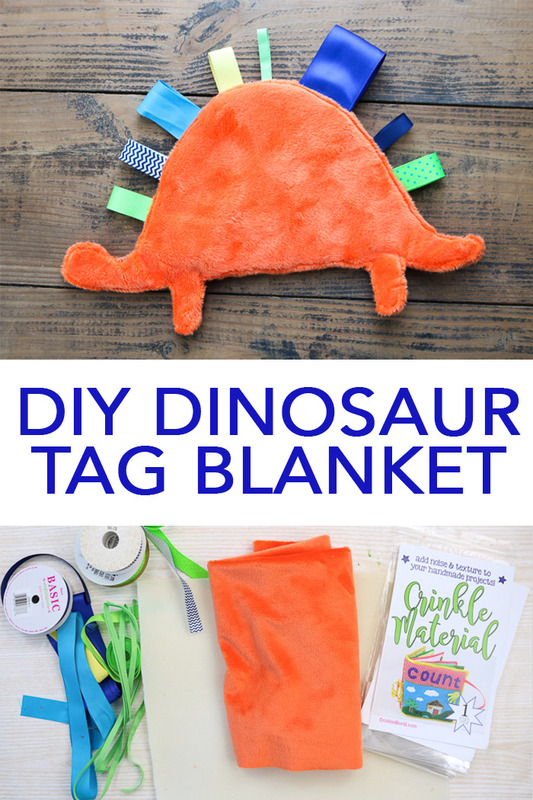 Make this baby tag blanket or any one of these other craft ideas and celebrate some obscure holidays this year!